Give this super simple Homemade Spray Deodorant recipe a try! It’s the best DIY spray deodorant we’ve tried – it’s even husband approved! 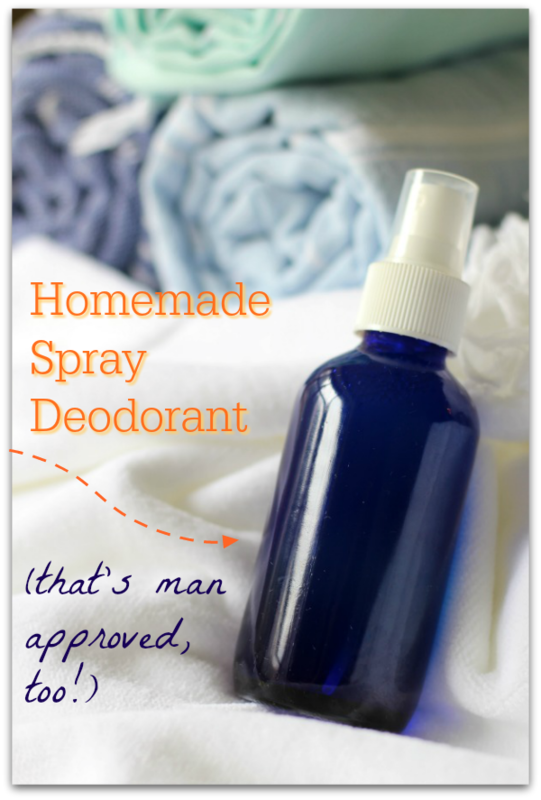 I’m so glad I tried that because I discovered that it makes the best homemade spray deodorant. It really works! It smells so good, so fresh and so clean. I love this recipe as a yoga mat cleaner and now I love it as a spray deodorant, too. Who knows what else it could be good for?! If anyone tries it for anything else, let me know! The unique blend of Apple Cider Vinegar and anti-viral, anti-microbial, anti-bacterial essential oils create an environment that kills bacteria (it’s the bacteria that makes us so stinky!) and deodorizes. You’ll be left smelling super fresh and clean. I can’t wait for you to try my recipe for yourself and see why we love it so much! Give this super simple Homemade Spray Deodorant recipe a try! 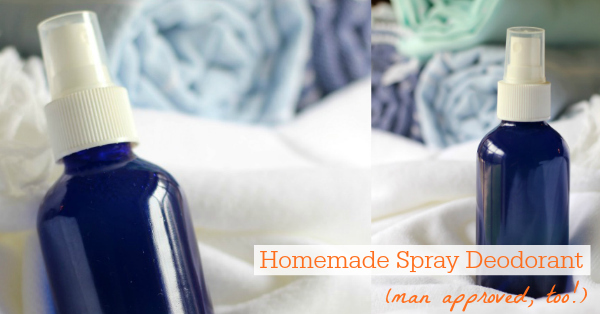 It's the best DIY spray deodorant we've tried - it's even husband approved! Fill a 4-ounce glass bottle halfway full with apple cider vinegar. Fill it the rest of the way up with water. Shake well. Yes. But sweating is a very good thing! Sweating is the body’s natural way of releasing toxins through the skin (in fact, I purposely sweat it out a few times a week in my infrared sauna – sweating is SO good for you!). If you block the sweat glands from sweating by using antiperspirants, you’re interfering with the body’s natural process of elimination, which can lead to increased infections. Even though you will still sweat when using this spray deodorant, the ACV and essential oils will kill the bacteria, keeping you odor-free and fresh! Will I smell like Apple Cider Vinegar? No! This is something that’s important to me, too. Who wants to smell like ACV?! The essential oils overpower the ACV so the only thing you’ll smell like is the lovely, refreshing essential oil blend that you used. How long will it keep me smelling fresh? Under normal conditions, one application lasts all day for us. You already have 2 DIY Deodorant recipes on your blog. Is this one better? 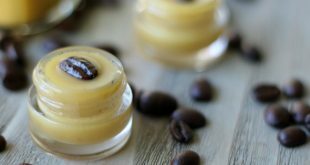 I do have 2 homemade deodorant recipes already on my blog. And they are both great. They really are. My husband and I used them for years and years with success. The first one is HERE. And the second one is specially formulated for those with sensitive skin. You can find that recipe here. I’m always looking for easier, better, and more convenient ways to do things. This homemade spray deodorant is way more convenient and much simpler to make. It’s been my go to deodorant. I love it! How long does this homemade spray deodorant keep? Once blended, this convenient homemade deodorant spray is safe to be used and stored for a very long time (over a year). If you have any other questions, just let me know! I hope you’ll try my Homemade Spray Deodorant recipe – it’s so simple and super convenient! My fav! Hi Kelly, just wondering if this will stain clothing? I make a coconut oil/kaolin clay deodorant but it has ruined my white tops. So if this doesn’t leave any staining I’ll definitely be using this spray deo. Hi Peg! No, it doesn’t stain! Do the essential oils leave oil stains on your clothing? So excited to try this! I’ve been back to the baking soda and coconut oil and it hasn’t been irritating me this time around. But love the idea of a spray. And ACV is pretty much good for everything and anything. Need to get more tea tree oil…have everything else, even the glass spray bottle! Yes, the spray is so much more convenient for me! Love it! So excited to make this! I have been using a purchased mineral salt deodorant spray that, for me, works about the best for a natural deodorant. What I don’t like about it is that it goes on wet and basically stays wet under my arms unless I walk around with my arms in the air for 10 minutes before getting dressed. It kind of makes not using a commercial anti perspirant twice as wet. Your idea of using the alcohol is brilliant! Even if you don’t need the extra odor control it provides, it will make the preparation evaporate much quicker. I ran this by my chemical engineer husband and he confirmed that, even mixed with some water, the alcohol will make the entire preparation evaporate much quicker. Thank you for the awesome idea! great recipe, will try. What products (sham/cond/styler) do you use on ur hair, its very similar to mine. Hi Brit! I’ve been using 100% Pure Shampoo and Conditioner. It’s all plant based natural ingredients (so natural you can eat it haha! ), very gentle, extremely nourishing and my hair LOVES it. I’ve done a ton of experimenting with natural hair stuff over the years (did “no poo” for over 2 years, too), but the 100% Pure stuff is by far my favorite and makes my hair so healthy and shiny. The only styling product I use on my hair is a little bit of argan oil rubbed all over my hair after I get out of the shower. Hi! So thankful for all of your helpful information!!! I have a daughter with a severe lavender allergy. Is there a different oil that I could put in place of the lavender? Hi Linda! Sure, thing! Geranium or Bergamot Essential Oils are wonderful for deodorizing and inhibiting bacteria, too. Either of those would make a great substitute for Lavender in this recipe. That’s a great idea, Diana! Any recommendations for an essential oil combination that ids more masculine for my teenage son? Kelly, can you use this on just shaved underarms without it burning? I would love to try making this both ways and see which one works best. I love your website and can’t thank you enough for all the wonderful information!! Sherry, It does burn a little if you put it on right after you shave. But I was thinking that it was good to kill any bacteria. I was going to leave a comment and say that I was planning to make it and try it. But then I thought it was better to put it to the test and report my findings. OMG! THIS STUFF WORKS. I have not worn deodorant in 3 years. I have tried all the coconut oil based and baking soda types. None have worked just gave me a different kind of stink. So I made a bottle of your account based deodorant, put it on, and went to the gym. I did not stink. I put it on before bed and wake up not smelling for the first time in 3 years. Kelly, this stuff works. You have got to get the word out. Put a fb post and a pinterest post so people can share it. This stuff is AMAZING. FINALLY something that gets rid of my underarm smell. THANK YOU KELLY! HI Kelly, Is glass necessary or can a plastic spray bottle be used? Thank you! Hi Deb! Generally, a glass bottle is preferred over plastic and always glass when storing undiluted oils. But since this recipe is so diluted, a plastic bottle is fine! Hi Kelly, really keen to try this spray deodorant, I want to make it for my husband too however he has a slight allergy to apples, so can’t use apple products…. Would it work to swap it with a different type of vinegar? Maybe white vinegar? Hi Melissa, I think if it were me, I’d use the 100 proof vodka instead of the ACV. But if you don’t want to do the alcohol, you could give white vinegar a try! I love all of your recipes. This deodorant is totally amazing! I used it outside the first time, when I was working hard in my gardens. I never had BO. I will always use this recipe. My girlfriend wants some, so I will give her some of mine. This recipe makes a lot. Thanks for your hard work and sharing it with us! P.S. Not getting very many e-mails from you. I hope I am signed up. Thanks again. Hi Barbara! Thank you so much for your comment! 🙂 I am still sending out weekly emails, but sometimes they get stuck in spam or junk folders for some reason. They may be in there! Hi Kelly, I used this today and it works great but the smell of ACV is overpowering. Can I add more lavender to try to cover it up? I’m also not a fan of lemongrass but I used it anyway. I was worried about the lemon being photo toxic. Any suggestions? Thanks for the wonderful recipe! Hi, thanks so much for the recipe! I was just wondering if you’ve tried anything with a more feminine scent, or if it doesn’t work as well without the oils you mentioned above? If you have a feminine scent that you like would you mind sharing it? Thanks! Hi Laura! 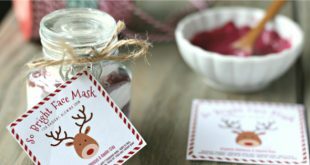 The essential oils in this recipe are among the very best at deodorizing and fighting bacteria (I consider the blend a gender neutral scent – it’s a very clean, lemony fresh scent), but I’d love to find you a blend that works well at fighting bacteria and something you consider feminine. Can you let me know what you think of when you say feminine scent and I can see what I can come up with – do you typically prefer more floral scents (rose, lilac, etc)? or vanilla? Jasmine? I like lemon, just not lemongrass, so I could try that next but I was just concerned about the photosensitivity. I like lavender, clary sage, ylang-ylang, that kind of thing. I’m sure I would like the floral scents I just don’t have any and I know they can be quite pricey. Since water is involved should there be a concern about mold or anything of the sort. Hi there! That’s not a concern with the ratio of acv and/or vodka in this recipe. I can’t wait to try this, especially for my young daughter. One question, I am allergic to tea tree and bergamot. I’d like to use the lemongrass and lavender tho. Is there another oil I could sub for the tea tree? Thanks! Hi Courtney, I would just add 5 more drops of lavender instead of the tea tree. This sounds great and I am very keen to try once I acquire all the oils. FYI: The recipe to make Apple Cider Vinegar is one part cider with 3 parts white vinegar. If you are not so inclined to the vinegar for this recipe perhaps you could change this to equal parts. We have fruit flavoured ciders here in NZ which could be interesting. Hi Kelly! Thanks so much for all your wonderful recipes! I wanted to ask, typically how long does a 4 ounce bottle last you? I’m not sure whether to prepare a larger quantity just to make things easier. Thanks again! Hey Claire! To be honest, I’ve never really paid attention to how long a bottle lasts, but if I had to guess, I’d say our 4 ounce bottle lasts about 2 months (my husband and I share a bottle). We use 1-2 sprays per arm once per day. I wanted to write and thank you for this easy spray deodorant that really does work. In the past, I’ve used just 100% proof vodka and essential oils as a deodorant. It worked ok, the only thing is I had to reapply it either in the afternoon or at night if I wasn’t showering the next morning. I used your recipe with the apple cider vinegar and 100% proof vodka and it lasts all day and night. So so happy that you shared this and I found a deodorant that I don’t have to reapply during the day (or night). Thanks again for all of the recipes you post. I use/make several of them. Thank you for your comment, Cindy! This makes me so happy to hear! Kelly,will this work for stinky feet. Even with tea tree oil? I just made this and am anxious to see how the day goes! I’ve lately renewed my love of incorporating essential oils and learned a cool trick when blending into liquid. Always first put some salt into your bottle -( the amount depends upon how much oil you’re using), then out your oils in so that they completely absorb into the salt. This prevents the oil and liquid from separating in your bottle. With the oils absorbed into the salt, you’re assured an even distribution. Thanks again for giving your great recipes and time! Thank you for the great tip, Gwen! Much appreciated! Hello! I just made this and I may have added a bit too much ACV, it smells a bit too much like it. Could I add a few more drops of lavender, or would that not be ok? I also added a bit less water because my bottle is 100ml (a tiny bit smaller than the one you have), so that is all the water i could fit (probably why it smells a bit too much like ACV). Wanted to give an update – I’ve been using this spray deodorant for a while. The inner and outer sides of my underarms started getting red and irritated – I’m guessing it’s the apple cider vinegar. So sad that I apparently won’t be able to use this 🙁 Do you have any suggestions for a substitute for the ACV? If not, I guess it’s back to the drawing board. Hi Kelly! Thanks for this recipe I’m excited to try it! If I only have 80 proof vodka would it still work? ???? I make a similar spray deodorant with ACV, rosemary hydrosol (which is actually distilled water), Magnesium Oil and rosemary and lemon myrtle essential oils. I sometimes add some probiotics to it. The deodorant works really well, smells amazing, and I think it’s my favorite version. I’ve made cream deodorants before, and they work well too, but they’re a lot more work to make than the spray. Sounds awesome, Cynthia! Thank you so much for all your tips! Hi, I made this deodorant in both the original recipe and the “man approved.” The original is fine (though I do smell the AC vinegar, it’s not covered by the EOs), but the one with the alcohol burns like crazy for both me and my husband. Unbearable burning. We both had to wash it off after a couple minutes of increasingly intense burning. My husband waited longer than I did, hoping it would fade. It didn’t and he ended up with red, inflamed skin. And, no, he doesn’t shave his pits. 🙂 Anyway, just wanted to say. Definitely didn’t like the “man approved” version. And those who strongly dislike AC vinegar might want to avoid this because, though not super strong smelling, I do smell the vinegar all day long. Disappointed this recipe didn’t work out better. 🙁 Glad I tried it, though, and the original recipe is great for when I’m in a hurry. Thank you for sharing your experience, Mary! I’m bummed that the vodka version burns you guys so badly 🙁 I’ve been trying to do some research because it made me curious why it doesn’t burn for some and does for others – I still have no answers, but if I find anything out, I’ll be sure to update. I appreciate you taking the time to let us know your experience! Oh one more thing… if you let the acv one dry before you put your clothes on, any smell of the acv dissipates and all that is left is the smell of essential oils 🙂 Just thought that little tip that may help! Will using vodka make it not good for sensitive skin? I see Mary’s comment above. Probably not good for sensitive skin if vodka is used. I say Mary’s comment about the alcohol version causing burning – that’s not fun. It happened to me once too, but I figured out that I accidently put too much lemongrass in it which can cause skin sensitivity. And wow did it burn and my skin turned red as well. Just a thought. It’ll be interesting to try it with the witch hazel. That’s the next batch! Thanks again Kelly. I absolutely love your blog & recipes and you are definitely my “go-to” gal for a wealth of information!! Adele, your comment made my day! Thank you for all the kind words 🙂 And thank you, also for your good tips about the lemongrass! Take care! Hi! Just wanted to say I love this stuff. I have been making the lady version and the man version for my hubby. I was very skeptical but so excited to find that it actually works and works well. I told my sister about it who is a runner and she loves it now too. I do not use it after shaving my underarms because…..oh baby it burns! I do make it with the 80 proof vodka mainly because I want it to last all day. I love your website and I have tried many of your recipes! Keep up the good work! I am new to the essential oils and wanted to make this deodorant because store brands just don’t work for me. I’m not too fond of the smell of acv but figured the oil would cancel it out so it would be ok.. I only have lavender oil and just the sent of the too was way too much to handle! So I grabed cinnamon and vanilla extracts. It still smells like the acv while wet but once it dries it is cinnamon and vanilla! 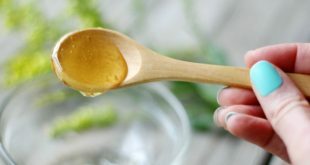 I havnt seen anyone use extracts for body use so I was just wondering if its ok. I hope so cause I didn’t stink all day! Hi Jaime, wow, what a great idea for those that can’t handle essential oils! Yes, extracts are perfectly fine for body use. I have used vanilla extract in a few body lotion recipes with good success. Anything with cinnamon sometimes could cause a bit of skin sensitivity/burning in some people with very sensitive skin, but if you aren’t having any issues then it’s fine! Hello, I am very excited to try your recipe but was wondering, can I use plain tap water or rose water instead of distilled or spring water? I think that would be great, Syndy. I often use grapefruit, too. Thank you so much for sharing this recipe. It’s been a lifesaver and I love it. Thank-You so much! I love this! most deodorants (home made and shop bought alike) don’t keep me smelling fresh thoughout the day, so i tried this one hesitantly… I am soon glad I did! It turned out to be a hot and sweaty day of work, and at the end of the day I was worried that I would stink-like I often do at the end of a shift… but nope… I smelt fresh and clean like i’d just got out of the shower! I always have all the ingredients around anyway so this also saves me a load of money on buy-in deodorants that I needed to apply 2-3 times a day! Well worth it! You’re a life saver for definite! Can we use the queen of hungary’s water as a substitute for the ACV or the vodka? Can we swap out the water for Witch Hazel? Just made my first bottle. Because I’ve been sitting on the article for payday to get my lavender and tea tree oil, even though it’s evening I still put some on. Will definitely be all day tomorrow 😁 Will see how it does in the middle of summer in NV. I made this this morning after stumbling upon your article while browsing pinterest…. I wore it this morning… maybe i didnt allow.it to dry fully? All i could smell was ACV…. i showered afyer the gym and went bare the rest of the day while running errands…. Gor home and figures ide read over some of thr comments to see if others had similiar issues. Ive reapplied after reading through comments and stood under a fan after application to speed the drying process…. i still smell the acv but nesrly as strong. 😏 Didn’t work. Kept me dry, but still stink like body odor. At least I acquired tea tree and lavender oils, have to experiment what else I can do with them. The ACV was pretty strong…is it ok to dilute with more vodka? Maybe add more EO as well? I feel that this would be perfect if not for the strong ACV smell. Also, wanting to make a batch for hubby who is requesting less of a flowery smell. He really likes Thieves, your thoughts? I appreciate having an awesome recipe to get rid of commercial harmful products. Thank you for all that you do! Hi Lisa! Yes, definitely – dilute with more vodka and/or add a bit more EO’s. Thieves would be great, but I’d want to make sure it wouldn’t irritate the skin – the oils in that blend can be pretty strong for skin. You can use other water, Sarah. I do when I don’t have any distilled water on hand, but I’m a rebel 🙂 Distilled has just been sterilized so you can be sure there’s no bad bacteria in it. I use the EO Organic Deodorant brand for a few months now and like it so far so I was on the search for a DIY essential oil blend recipe to make my own deo. Awesome! Hope this one does the trick for you! This stuff is great, I went ahead and made it with vodka (80 proof though) cause I’m a big sweater! No smell and I’ve not had to reapply. Which is amazing because summer in SC is hoooot! Thanks ! The same amount of drops ? I’m excited to try this, but I can’t find any glass spray bottles. However, I do have some glass roll-on bottles (with plastic rollers). Do you think this would work as a roll-on? Oh, that’s a great idea. And yes, it would definitely work as a roll on! Thanks for the recipe. I am making the 40z+ now. I’m in Guatemala and can’t find everything I need. I will be substituting tea tree for cedarwood and will be splitting the 30 drops for 15 of peppermint and 15 eucalyptus. They both have antibacterial and antifungal properties. I have not found distilled water so I’m using filtered water. Wish me luck. Awesome – your substitutions sound great! Enjoy! Thank you Kelly. I meant to say, I made 4 oz. I ended up adding lavender and Wintergreen because Cedarwood is too manly. So far it works great, I have some odor at the end of the day but given Guatemalta is humid, is not that bad. I will be carrying a small spray container to spray it once during the day. I absolutely love it!! THANK YOU. Hi Kelly. *update. I stink lol. I think it can be hormonal, 48 here and I do sweat a bit. I will be splitting half the water with vodka. Also, have you tried myhr or added baking soda? I am kind of embarrassed because my guy has no body odor at the end of the day. Could this be because I am substituting the lemongrass for peppermint and eucalyptus? Hi Kelly! just wanted to ask, instead of vodka can I use gin instead? with 40% alcohol and 80 proof. I wanted to give this a try. Thank you! Hi Kelly! I tried this with lime and bergamot essential oils and subbed the water for witch hazel…. 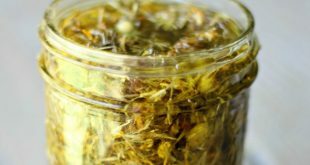 it smells amazing, works great, and is so easy to make! Thanks for the recipe! Hey Kelly, I must say I was very excited to try this deodorant. I’ve made a few deodorants already but now I’ve been looking for a spray for a while. I changed the essential oils (eucalyptus, orange, and tea tree) but I have to say I smell like vinegar. I followed your instructions but I can smell ACV on me all the time. Do you have any tips on what to do to reduce the smell? Thanks! Do you wait to put on your clothes until after it dries? Maybe that would help? Some other readers have tried lessening the ACV and adding witch hazel with good success. The only other thing I can suggest is to try replacing the ACV with the vodka. I hope one of those things could help! Hey Kelly, yes I wait until it dries before putting on my clothes. Thanks, I’ll definitely lessen the ACV and add witch hazel, hope it works! I am so glad that I came across this tread! I have tried almost EVERY natural deodorant! I am big on good smelling products and absolutely do not want to smell like BO. When I use regular store bought aluminum deodorant my lymph nodes swell up so I have been on a quest for natural options. I tried just the witch hazel with lavender, patchouli and tea tree eo’s and it just didn’t cut it. The night before last I decided to bite the bullet and try the ACV option even though I can’t stand the smell. I mixed it in a small spray bottle with some favorite essential oils. After showering I sprayed on the ACV. No, it doesn’t smell very good at first but the smell did dissipate a bit. The next morning when I am usually at my ripest there was no smell! I showered again and applied for the day. No smell throughout the day and before I went to work in the evening I applied again just in case. I did not stink at all! This is huge! I added witch hazel to dilute a bit and will continue to use it daily. I am hoping that this continues to be amazing! Awesome, Gretchen! Thanks for sharing your experience so far!